Among the key methods that organizations today use to set up a lean environment is to implement one-piece flow. In one-piece flow, production of a particular item is moved from one stage of production to the next one piece after the other. This is in contrast to other models of production which have several units of the product made at one stage and then all moved to the next at the same time. The majority of operational excellence experts favor one-piece flow. When automated systems are used to create one-piece flow, waste can be quickly eliminated from a number of areas. 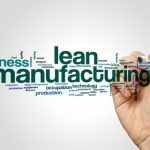 Below are five benefits that can be gained from successfully implementing lean one-piece flow within your production process. With one-piece flow, it becomes much easier for a producer to build up quality. This is because each operator doubles up as a quality inspector and can fix problems they encounter at their station before moving the item on. If any defects are missed and the item passes to the next step, they will be quickly detected and corrected by the next operator. When equipment is dedicated to a particular product line, there is less flexibility in scheduling its use for other production purposes. 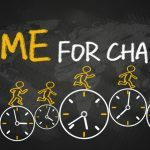 However, if the production lead time for an item is short, then a producer has more flexibility, allowing them to respond quickly and make exactly what the customer wants. Instead of having to wait for several weeks to put in a new order and wait to get the product, new orders can be filled in just a few hours. Accommodating any changes in demand can then be done almost immediately. In general, batch production operations make it difficult for a producer to determine exactly how much manpower is required to produce a particular number of units. This is because such a system does not measure productivity in the form of value added work. It is impossible to know just how much productivity the organization loses when its people overproduce items and then have to be used to move them into storage. It is also difficult to track the time lost to find defective items and repair finished products. 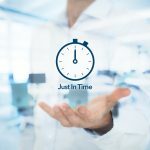 One-piece flow minimizes non-value adding activities like movement or materials and allows the organization to establish who is being overworked and who is idle. It then becomes relatively easy to calculate how much value added work is being done and to find out the number of people necessary to hit the ideal production rate. When an organization segregates its equipment by department, the result is many pockets of space between each piece of equipment, as well as space that is wasted by piled up inventory on the production floor. In cellular, one-piece production, all equipment is placed close together to ensure easy flow from one station to the next, with very little space used by idle inventory waiting in queues. Through greater use of floor space, an organization will not need to build more capacity as demand rises. One of the most important but often overlooked advantages of one-piece flow is the way it naturally improves workplace safety. 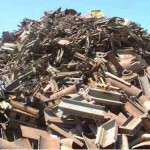 This is because there is no need to move large batches of material on the factory floor. The smaller batches mean that the factory can get rid of a major cause of factory accidents, forklift trucks. It also means that the containers of materials being moved around are fewer and smaller, reducing the number of lifting-related accidents. Focusing on flow almost always results in better workplace safety, even if it was not the primary aim. Although applying one-piece flow can be challenging in certain industrial settings, the logic behind the system is solid. 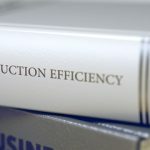 The benefits outlined above make it easy to understand why one-piece flow has been a big part of lean thinking.